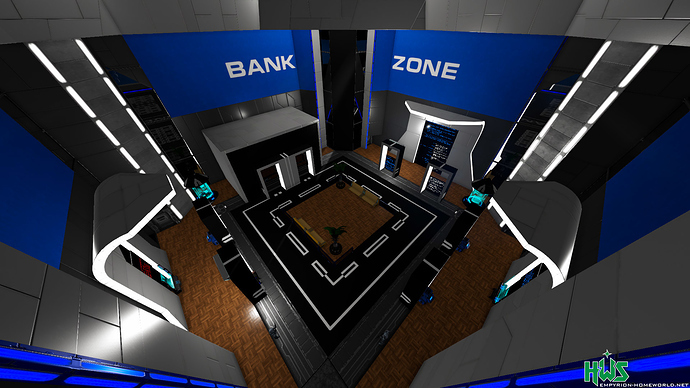 HWS has an active Economy and players are allowed to store their credits independently from the game. This convenient and valuable feature is called the Elemental Bank. Credits are very important because they allow players to purchase increasing levels of HWS features such as the Orbital Cargo Drone, Reputation Points from EGS, NoGuilty status, EGS Recycle Levels, Orbital Autominer upgrades, HWS Garage ships and more. The main branch of the bank is located in the Elemental Capital City (ECC). Explore the universe and/or the HWS Guide to learn of other bank branch locations. eb:? Provides you with useful information regarding the bank and its features. eb:info Displays your Account #, your credits on hand, and your bank balance. eb:send Teaches you how to send credits to other players. (e.g. eb:send:account-nr-of-target:AMOUNT). You / your partner get the account number by typing eb:info in chat. eb:interest ONLY available with Elemental Bank level 5. Activates your daily interest for delivery globally. No need to visit EB zones anymore. eb:send:12345:4500 = send player with account number 12345 4,500 credits. Type eb:? In-game for more information. Your Elemental Bank upgrade level gets reset after every season! 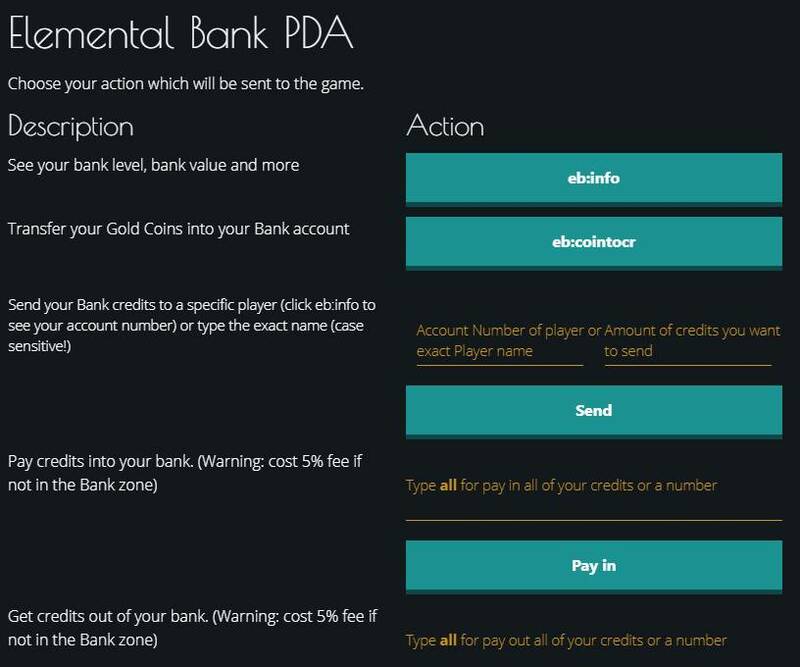 Players must visit the Elemental Bank daily to earn their interest! With EB Level 5 and above, players can use the command eb:interest to collect it globally. No EB visit necessary. Interest is processed when a player visits an Elemental Bank Zone. Confirm its delivery by watching for the message that the cash drone is coming. DAILY INTEREST! - not working!